BLOQUEando 2018 will be the 12th edition, undoubtedly the biggest and most important event of its kind and a reference for the practice of sport climbing and bouldering in Bolivia. It is a three-day event where climbers are able to develop their skills, exchange experiences and techniques. It includes three days of rock climbing in a new climbing location with more than 80 bolted routes of which at least 20 are two pitches. 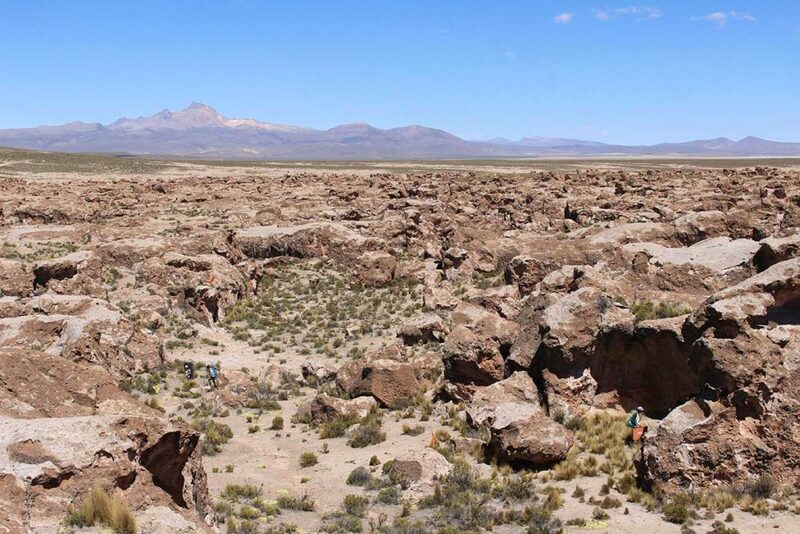 The festival began in 2007, when a group of friends organized the first event at Curahuara de Carangas to help develop the climbing community, as well as to promote bouldering and sport climbing in Bolivia. When BLOQUEando began only ten friends attended the event. By 2016 – its tenth anniversary – BLOQUEando welcomed approximately 130 participants. It is growing each year bringing together local and international participants. 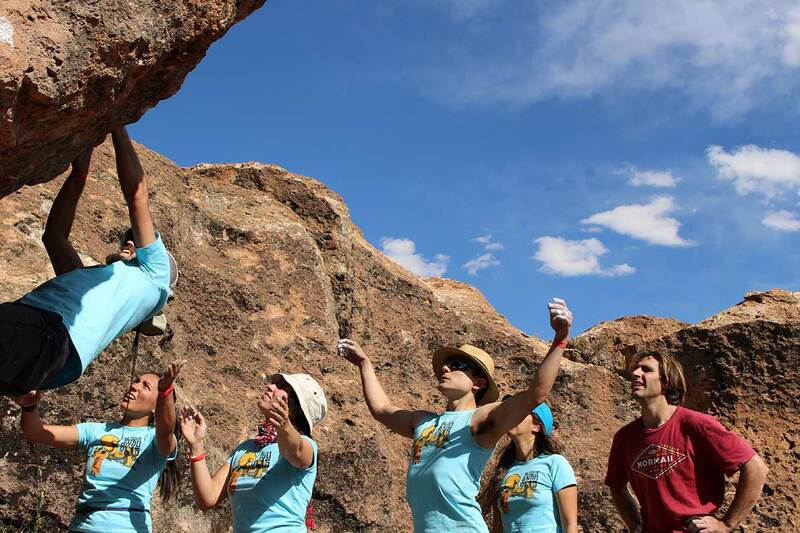 After ten years as a bouldering event, the last two versions of BLOQUEando also incorporated sport climbing as the main activity. 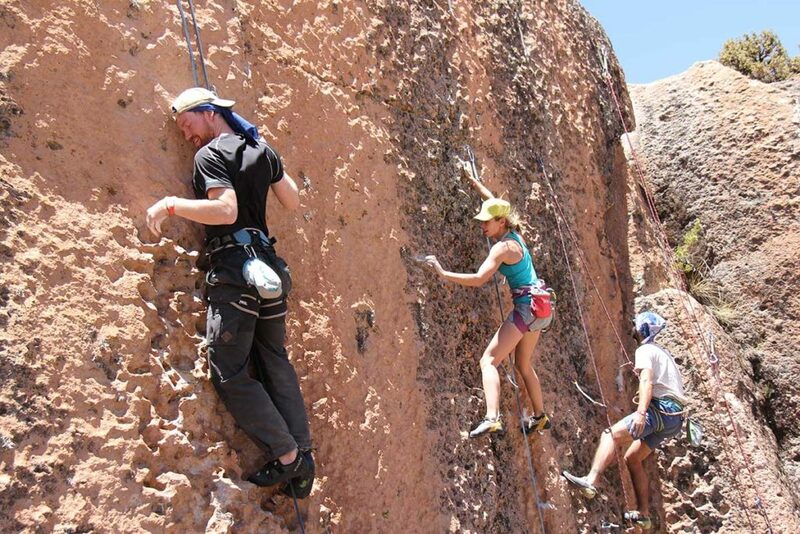 The BLOQUEando team now has a clear vision and mission to promote rock climbing in Bolivia through the development of existing sectors, the discovery of new areas, and by organizing a variety of sport events to bring together local and international participants. In 2017, BLOQUEando was held for the first time in Pomani. The organization equipped 60 routes and worked with the local community to organise the festival. During the event, the local community and tourism authorities benefitted directly from the presence of the participants – selling refreshments, artisanal products, establishing contacts and witnessing first-hand how climbing could be used as a touristic activity. Thanks to the event, the topo of the routes and the communication around the new sector, there are still climbers going climbing in Pomani on a regular basis during weekends and vacations. 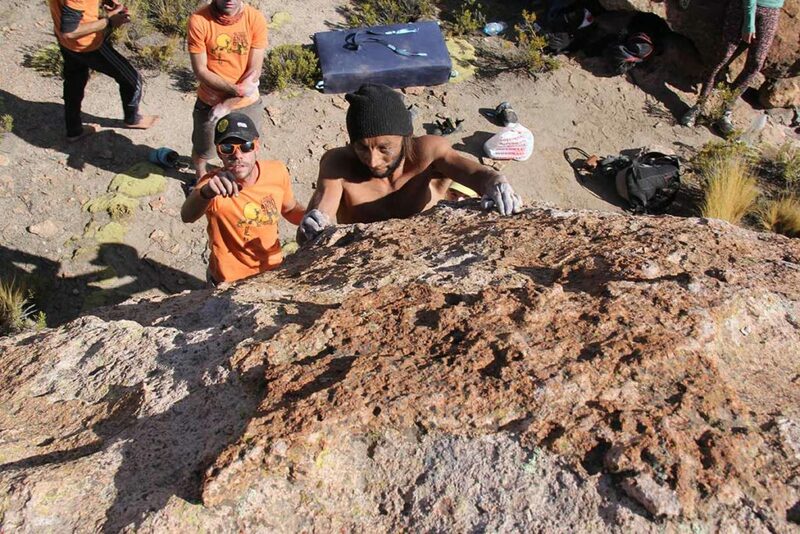 The community started selling food to climbers and sees the potential for climbing tourism. Since then, the community has received the visit of the ministry of tourism and other agencies to promote the potential of the place including the creation a specific touristic climbing option. 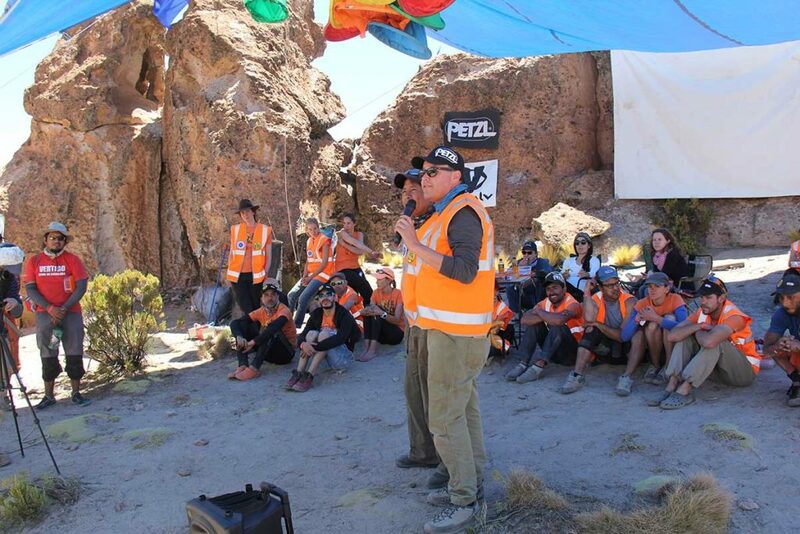 This year, and during the past three years, the organisers plan to host workshops before and during the event in collaboration with the AGMTB (Asociacion De Guias De Montaña Y Trekking De Bolivia). These workshops aimed at all level of climbers will include theoretical and practical information about safety/security, fall factors, climbing equipment, and improvement of climbing techniques. BLOQUEando organizers have many years of climbing experience, counting professional climbers and UIAGM certified guides run the workshops. BLOQUEando produces an environmental manual that is sent to the participants before the event. It includes detailed information regarding Leave No Trace. Our aim is to not impact the environment negatively during or after the event. Trash disposal and eco-friendly bathrooms are available around each event. The manual includes information about fauna and flora in the sector, and how to manage garbage, toilets, camping place, food, etc. so that the event has no impact on the environment. UIAA support for this event would help it grow both nationally and internationally, as it will provide a showcase for the potential of climbing in Bolivia, a country which has many great climbing areas. The aim of this event is to involve not only for local climbers, but also international climbers. There are not many climbing events in the area, and over the years our event has grown a positive reputation amongst climbers from various countries. Note: BLOQUEando is an independent event and not run by the UIAA. The safe running of the festival is responsible of the festival organisers. BLOQUEando is supported by AGMTB and the Climbing Association of La Paz.